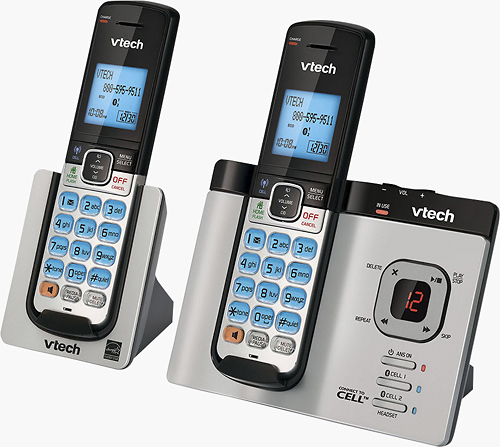 FeaturesExpandable cordless phone system Includes a base unit plus 2 handsets and a charging cradle and is expandable to 5 handsets (optional additional handset model DS6601, not included). DECT 6.0 technology Helps ensure clear calls with minimal interference. 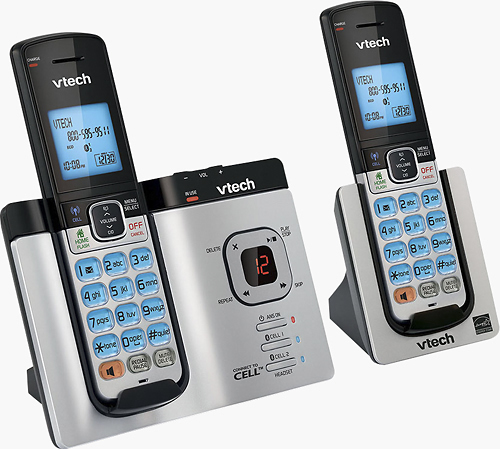 Digital answering system Features up to 25 minutes of record time to provide ample room to store messages. Bluetooth interface Lets you wirelessly connect compatible Bluetooth-enabled devices, so you can make and receive calls through your cell phone. 3-line LCD display Makes it easy to view options. A backlit keypad offers clear visibility. 1,000-entry name-and-number memory Lets you store contacts from up to 2 phones.